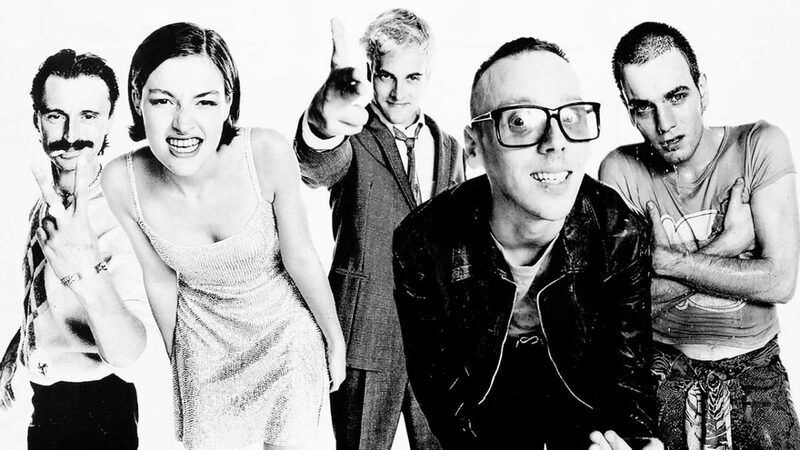 Trainspotting is a lifelong personal favorite film. Essential. FilmStruck subscribers should be sure to catch it one more time before before WarnerMedia and AT&T cruelly shut it down on November 29. FilmStruck is full of more invaluable treasures than anyone could watch in two weeks, but I must single out Trainspotting as a particular treat, as the commentary track, deleted scenes, and more from the 1996 Criterion Collection laserdisc are included. One of many interesting details to be gleaned: Director Danny Boyle and producer Andrew Macdonald declined a higher budget in order to have the artistic freedom to depict the death of an infant. Yes, it is almost unbearable to watch, but it would have been a lesser movie without it. Screenwriter John Hodge notes that novelist Irving Welsh regretted his dominant focus on the male characters, and made a point of highlighting female characters in subsequent novels. Great, but this only highlights the biggest shortcoming of its belated sequel T2 Trainspotting (2017), which made exactly the same mistake. It’s a cinematic crime to have Kelly Macdonald and Shirley Henderson in your movie but give them little to no material. Perhaps not on a par with WarnerMedia and AT&T’s philistine, craven axing of FilmStruck, but still pretty bad. The spirit of FilmStruck will live on in The Criterion Collection’s own Criterion Channel streaming service, to launch in Spring 2019. According to the press release, some or all of its programming will also be available on a separate WarnerMedia streaming service, but as history has shown that such partnerships have not lasted, I will personally be subscribing directly from Criterion. The 1996 Trainspotting commentary audio file is also available from The Director’s Commentary blog.